South Lake Union is served by the South Lake Union Streetcar, which runs from the Westlake Center in Downtown to Lake Union. South Lake Union is served by the South Lake Union Streetcar, which runs from the Westlake Center in Downtown to Lake Union. 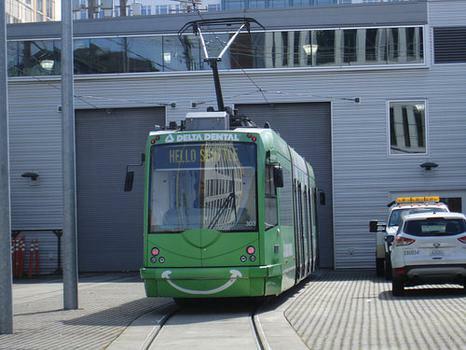 The streetcar was initially announced as the 'South Lake Union Trolley', until the developer realized the unfortunate acronym — which is still used by many residents. Local coffee shop Inner Chapters on Fairview Avenue sells T-shirts that say, 'Ride the S.L.U.T. '.